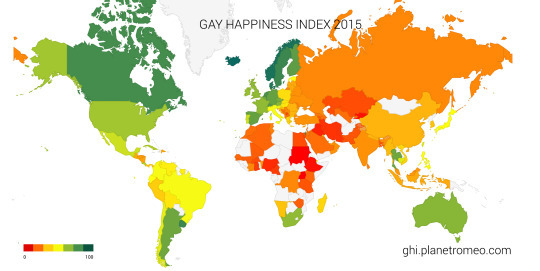 We are proud to introduce our Gay Happiness Index. It is the result of a global survey in which you gave us your valuable input. Check the full results of 127 countries and find out how your country ranks. This Sunday, May 17, we celebrate IDAHOT – the International Day Against Homophobia, Transphobia and Biphobia. Let’s also think of those who face hardships and struggles just because of who they are. We hope that the GHI data are helpful for everyone fighting for human rights, for all LGBT people worldwide. Last, but not least: we also launched our new company pages. We hope you like them!